Everything you need to get rid of an established Clothes Moths infestation in up to 2 rooms. 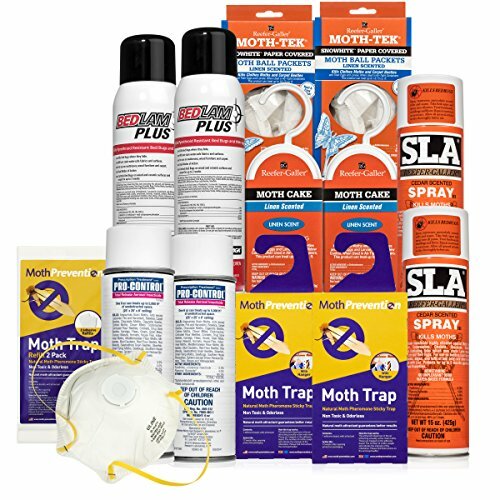 This is a comprehensive and powerful Moth Killer Kit that will kill moths, larvae & eggs, and provide ongoing protection from Clothes Moths. Position our non-toxic clothes moth traps in a closet or bedroom to catch adult males, removing them from the breeding cycle. Uses natural moth pheromones to attract male moths to a glue strip. A 'Ready to Use' insecticidal spray that targets moths in crevices. Kills moths, larvae and eggs for 2 weeks after application. If you have any questions about this product by West Bay Retail, contact us by completing and submitting the form below. If you are looking for a specif part number, please include it with your message.